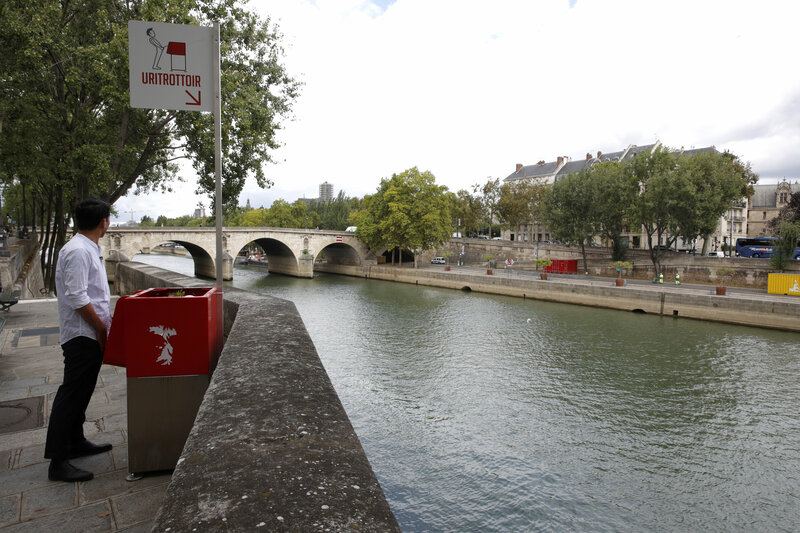 One of the bright red “urinoirs” installed on the Ile Saint-Louis, not far from Notre Dame cathedral and overlooking tourist boats passing on the Seine, has caused particular indignation. 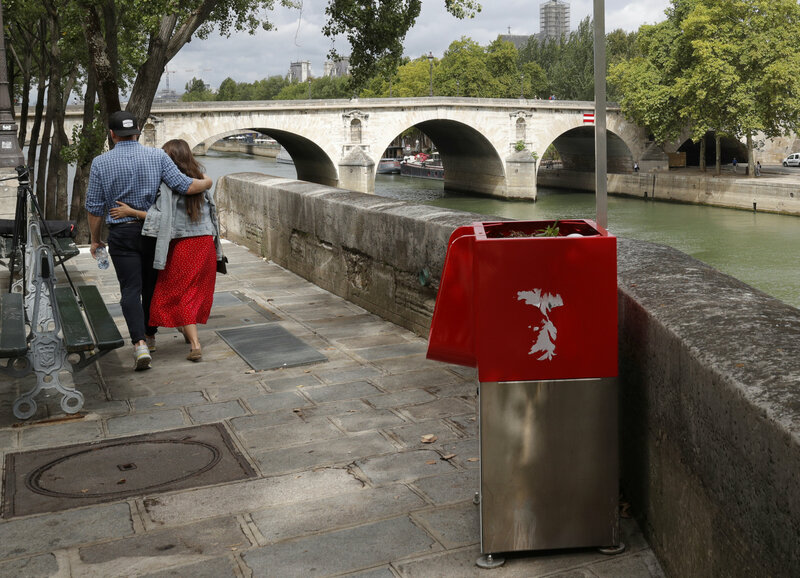 “There’s no need to put something so immodest and ugly in such an historic spot,” said Paola Pellizzari, 68, owner of a Venetian art store. “It’s beside the most beautiful townhouse on the island, the Hotel de Lauzun, where Baudelaire lived,” she said, referring to the 19th-century French poet. She feared the urinal, installed around 20 metres (22 yards) from a primary school, “incites exhibitionism“. 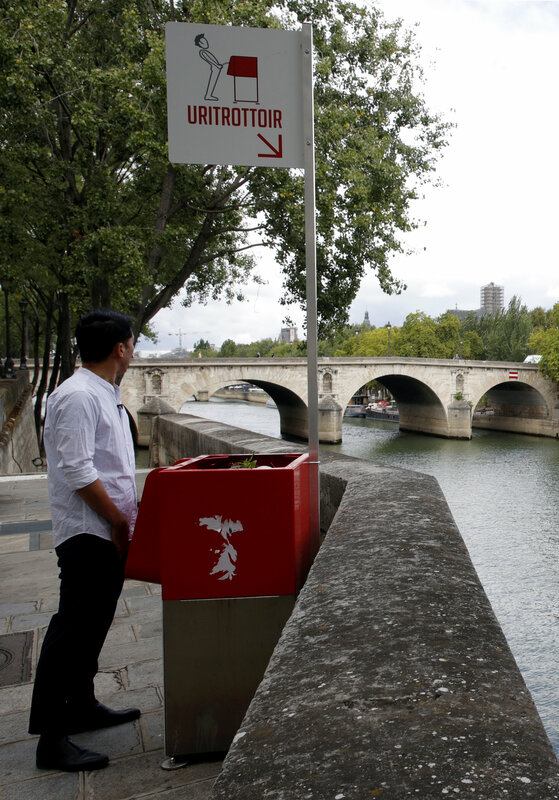 The designer of the “Uritrottoir” – a combination of the French words for urinal and pavement – said it offered an “eco solution to public peeing“. “It’s horrible,” said the 50-year-old owner of a nearby art gallery, who declined to give his name.